Recently, a friend and I were discussing laundry and she was telling me how much she hates doing laundry. I surprise so many people when I say that I actually enjoy doing laundry. So much so that they ask me to come over and do theirs too! I told my friend that the reason I love doing laundry is because it actually gives me a sense of accomplishment...something I can do and see results immediately. Hubby gets home from work and I can tell him that I did ALL the laundry and typically, it takes most of the day. I love the look of freshly laundered and folded clothes, and love putting things away into each family member's dressers. I'm weird, I know. :) But, it is something that needs done multiple times a week so I might as well enjoy it. When it comes to my laundry detergent, I am pretty brand loyal. I stick to brands that are effective, good value and low prices. It is hard to find that combination and also find something that works but I do pretty well and have stuck with similar brands for a long time. Earlier this month, I learned about a new laundry detergent that is launching onto the laundry scene! 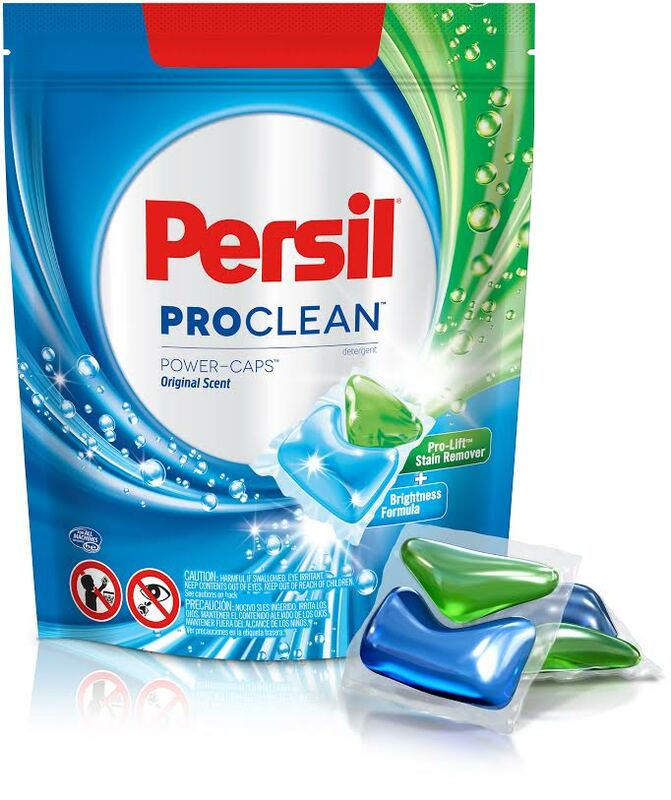 Persil ProClean is a detergent that originated in Europe but is now going to be available in the US. I had never heard of this brand before but was excited to give it a try! 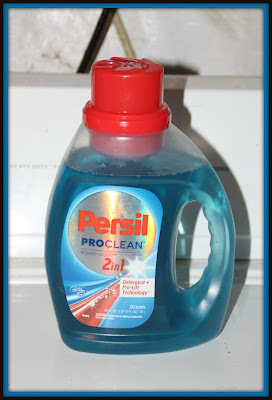 So, for this review I was sent a bottle of Persil ProClean Power-Liquid 2 in 1. Being that I was unfamiliar with the brand, I was excited to see how this detergent worked on my laundry compared to my regular brand. I have four children and their laundry is done several times a week. Between potty training accidents, spills from sippy cups and a baby who is learning to self-feed, my laundry is always stained and smelly. It's just a part of life around here so it is so important to have effective detergent on hand for these types of messes. 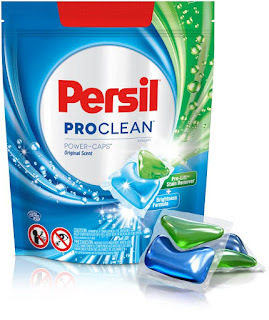 Persil ProClean Power-Liquid 2 in 1 is touted to have very powerful stain removing qualities and today's laundry load was no exception when it came to stains and dirt. I was able to use this detergent with 3 loads of laundry today-whites, colors and towels. What I found out was that it didn't remove old/set in stains. Bummer. I had a bunch of white baby onesies (pre-soaked in bleach) with stains around the neckline and those stains were still very visible once the clothing was washed and dried. I did find that it did a pretty good job of removing fresh stains on clothing. 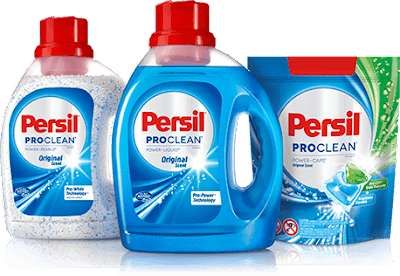 Anything that had happened this week on the clothing was removed completely after laundering with Persil. 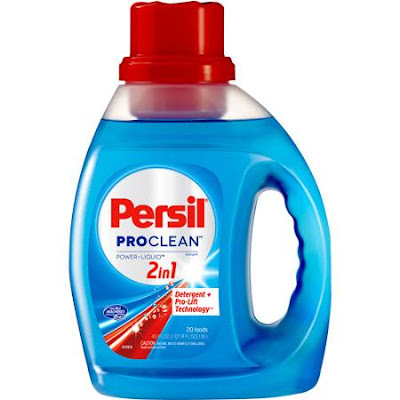 I loved the scent of this detergent as well, it smells very clean and fresh. I use a stain remover. I usually put laundry soap on the stain, scrub it in, let it sit for 20 minutes or so then wash it. I generally pour a small amount of laundry detergent on the stain, let it soak into the stain for 1-2 hours and then wash. I use a solution called Advanage. I keep a stain stick in the bathroom to use on my clothing before I put it in the laundry. Sometimes I use a little peroxide to treat a stain or I use a commercial stain remover. My favorite stain treater is Shout. I am currently using oxi stain remover and laundry soap. I have recently heard of this laundy detergent and it gtoo sounds terrific. Currently I use detergent and a toothbrush, its not that effective. I usually put a small amount o laundry detergent and hand scrub. We don't get many stains and I don't usually bother to treat them. Luckily, they come out in the wash with detergent. My favorite way is Oxi Clean! I always just use a Shout stain stick on our stains. I use a stain remover before the wash.
We use Shot stain remover. I use laundry detergent and hand scrub. I'll put awesome on it. It's a cleaner i get from the dollar store but it really is awesome and works wonderful on stains. I use Spray and Wash Stain Stick and treat the clothes as soon as they are taken off. The best part is that you don't have to wash them right away and it doesn't ruin the fabric. I treat with a stain spray like Spray and Wash and let sit at least over night and then wash in cold water. I repeat (without drying) until the stain hopefully comes out. For grease, I treat with Dawn and baking soda before doing the steps mentioned previously. I put pre-wash on clothes before they are put in the hamper, instead of waiting until I do laundry. hydrogen peroxide has become my stain remover and sometimes baking soda w/ vinegar. I use a stain remover spray or extra laundry detergent on stain, scrub it in, and let it sit before washing it completely. I just use a little dawn dish liquid. I use dawn dish soap as well and soak it in the stain. I usually use Shout on my stains. I don't always catch them in time though. Right now I'm using Spray N' Wash on stains. I usually presoak the stain with Shout and then wash the clothing normally. I will put a pre treater on before washing. I soak the clothes in oxi clean overnight, before I wash them. It's works good on sport stains, like baseball pants and soccer shorts. I just use whatever stain product I have around. I use oxiclean for most stains. I mix baking soda, peroxide, and dish soap and pretreat. It works wondefully! Just use a pre treater like shout. I soak stains in stain remover. to treat butter or oil stains I use dish soap, otherwise I throw in some borox and hope for the best. Soak in ice cold water before you wash. I like to put a few drops of Dawn dish detergent followed by a tiny bit of laundry detergent. I use an old toothbrush to rub it in. I find it gets out 75% of all stains. 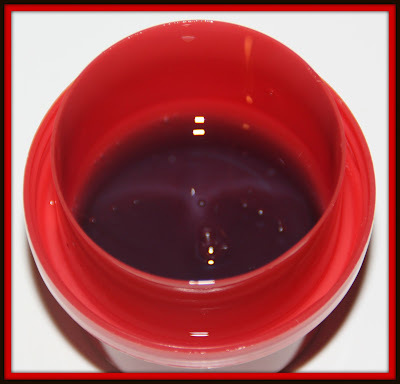 The dish soap helps to remove any grease in the stain and the detergent helps remove the rest. i always pre soak my stuff.As long as i catch them in time ! I like to use a paste of baking soda and vinegar to help pretreat any stains. Depends on the stain and the fabric but sometimes I use dish soap or baking powder to remove stains.